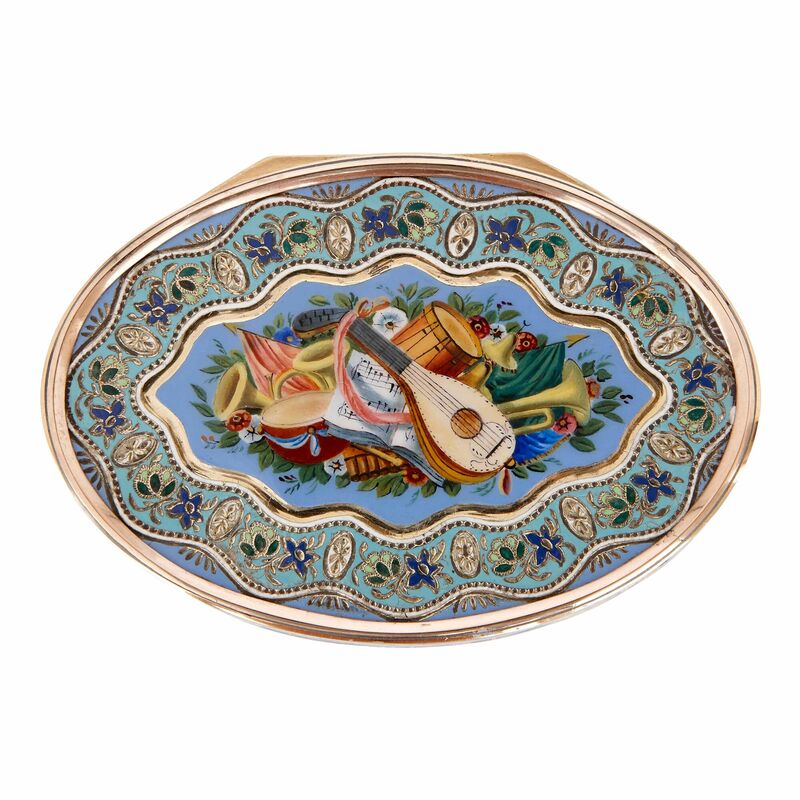 This solid gold snuff box, decorated with enamelled musical instruments and floral motifs, is an exquisite piece of 19th Century Swiss luxury design. 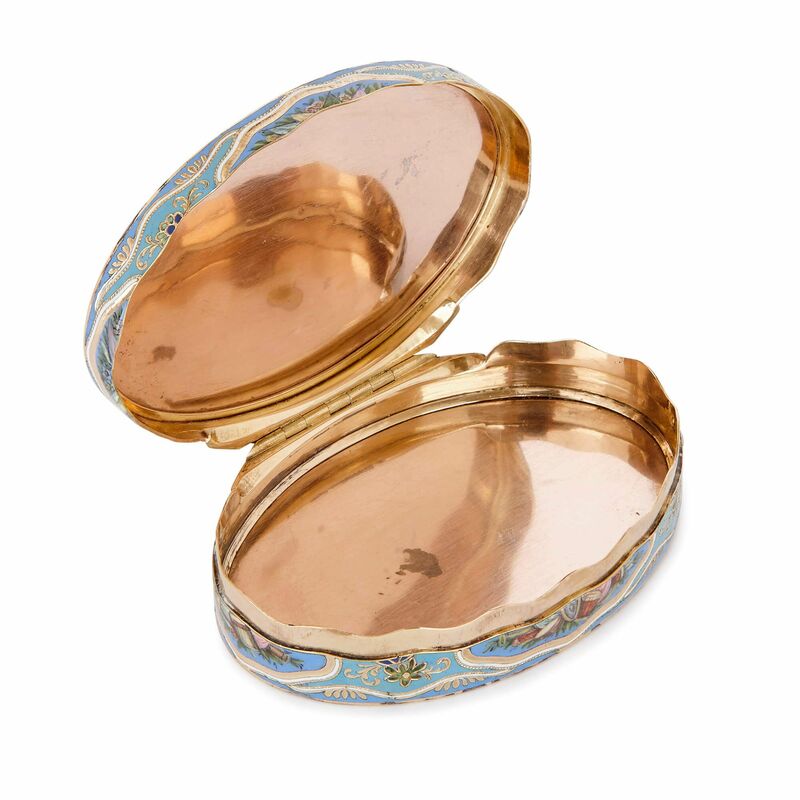 This snuff box is of oval shape and has been crafted out of solid gold, with enamelled decoration. The hinged cover features depictions of musical instruments, including a mandolin, which is placed before an open music book, and surrounded by french horns, trumpets, drums and a pan flute. These instruments are laid on a bed of flowers and set against a light royal blue ground. 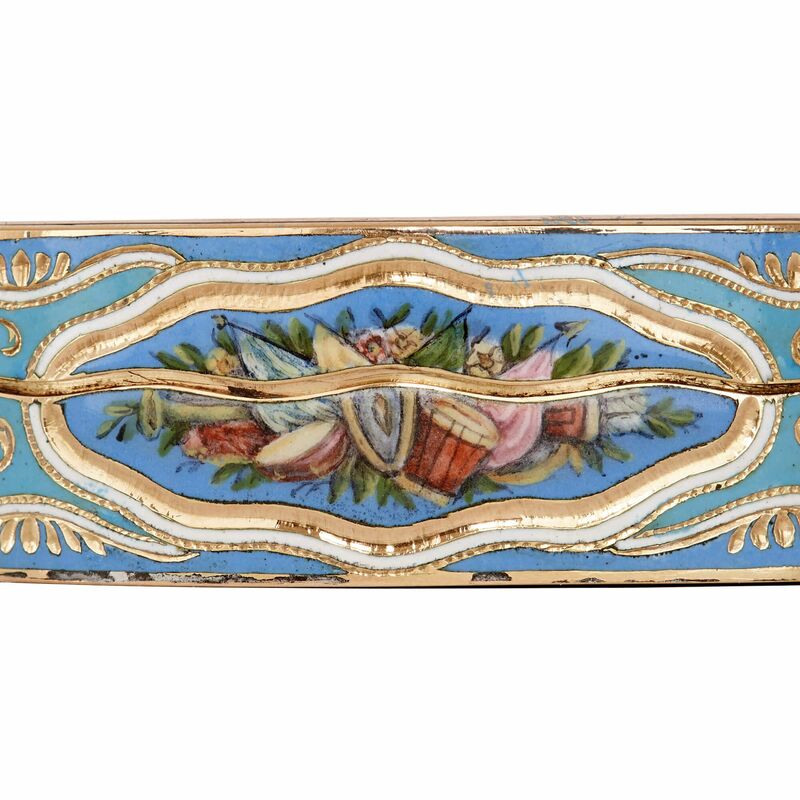 This still life scene is framed by a wavy border of turquoise enamel, which is decorated with flowers, articulated in gold and filled in with dark and light blue enamels. 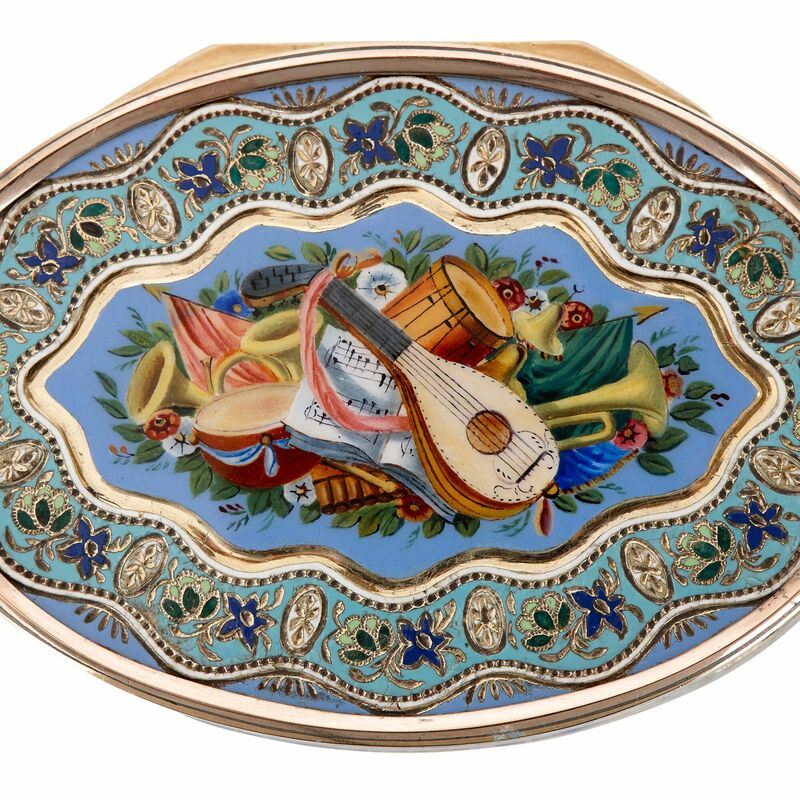 On the sides of the piece are similar decorative panels showing musical instruments, framed by flowers and positioned against a royal blue ground. 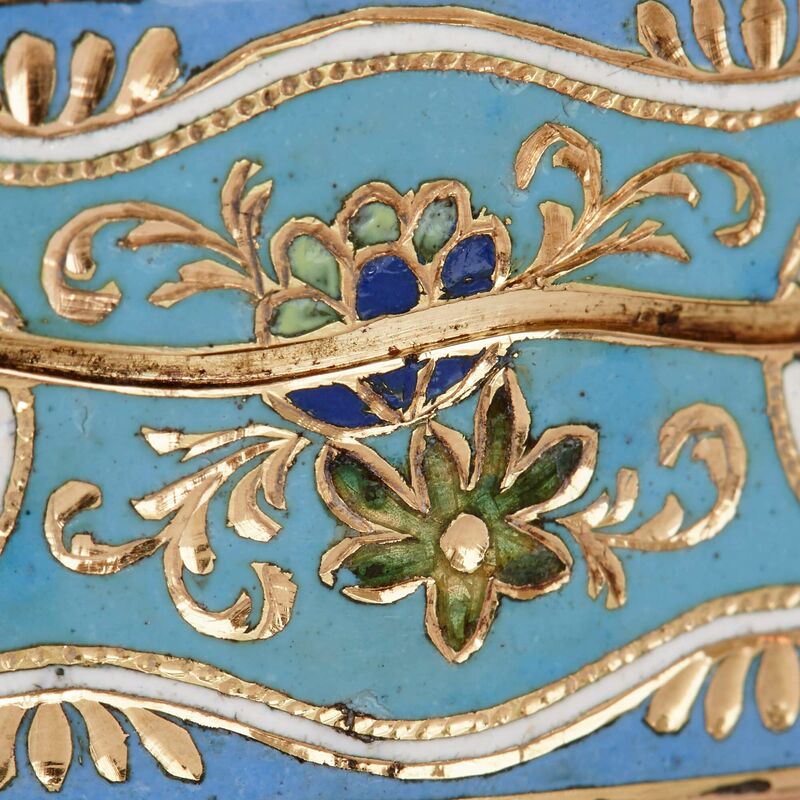 Between each, there are gold floral motifs, similarly coloured with different shades of blue enamel. The box has a gold underside and interior. 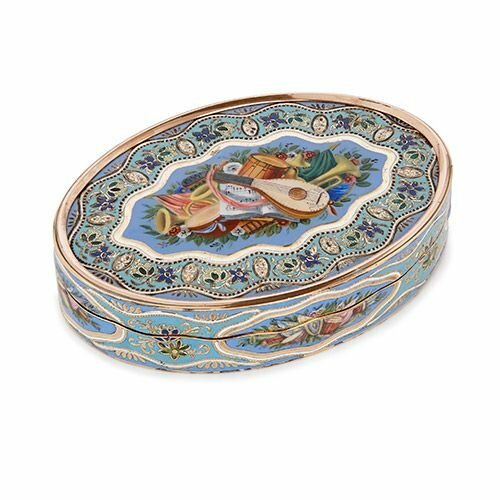 Crafted from precious materials and covered with beautifully-rendered ornament, this snuff box would have been a highly fashionable piece of functional design in the 19th Century.